News Round Up - Is Work/Life Balance A Driver Behind Reurbanization? The millennial generation is gravitating towards the urban lifestyle over the suburbs, says KI. No commute means a positive impact on a healthy work/life balance, and the opportunity for a live-work-play environment. By electing to work inside, Facility Executive thinks we’ve deprived ourselves, perhaps unknowingly, of things that would not only make us healthier, but more productive. 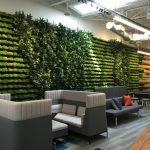 Commercial Real Estate reports that while many companies have promoted staff wellness through discounted gym memberships, health funds and healthy food, etc., another option is to ensure the design of the workplace itself promotes wellbeing. Open offices are here to stay, regardless of the science that decries them. Fast Company asks, is there such a thing as a less evil open plan? 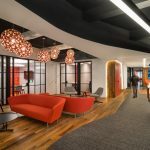 Next articleWhere Is the Workplace Headed?